"Two women on the very edge of things"
Who are the "two women on the very edge of things"? They could be almost any two - most women in the world are on the edge, powerless or unnoticed. But my title is from Malcolm Guite's sonnet 'The Visitation' published in his collection 'Sounding the Seasons'. The two women in that sonnet are Mary the mother of Jesus and Elizabeth the mother of John the Baptist. 31 May is a day to celebrate the visit that the young pregnant Mary made to her much older and more pregnant cousin Elizabeth. You can read the story in Luke 1: 39-56. I love the sculpture shown in my photograph taken in the courtyard of the Church of the Visitation at Ein Karem in Israel. Sometimes art conveys more than words can. 6 people visited a zoo. They’d been told about elephants. The explanations confused them. They needed to experience an elephant. As they were blind, they used their hands to feel the elephant. “Elephant is like a wall” said the one stroking the elephant’s side. “No, elephant isn’t like a wall, elephant is like a rope”, said the one clutching the tail. “A rope? No, elephant is like a sheet” said the 3rd, holding the ear. “Elephant is like a soft, thick hose” said the 4th, grasping the trunk. “No, elephant is like a tree” said the 5th, his arms wrapped around a leg. “Elephant is definitely like a solid pipe,” said the 6th, holding a tusk. 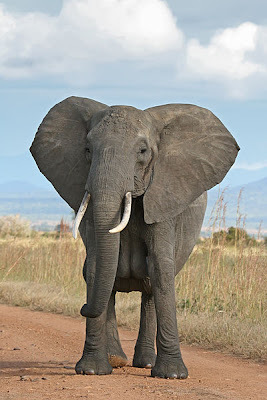 What's an elephant story got to do with Trinity Sunday? Safer to major on the mystery than explain the incomprehensible? Or ditch the sermon and recite the Athanasian Creed as the Book of Common Prayer directs? Should anyone try to 'explain' God? What do you think? It was severed long ago, that primary cord linking to the nourishment that grew me within your womb. It was replaced long ago - by deep attachment linking with the love that grew me outside your womb. I have no memory of that first cutting of the umbilical cord that connected me to your womb. I do remember the weaving of those bonds of love that matured me outside your womb. 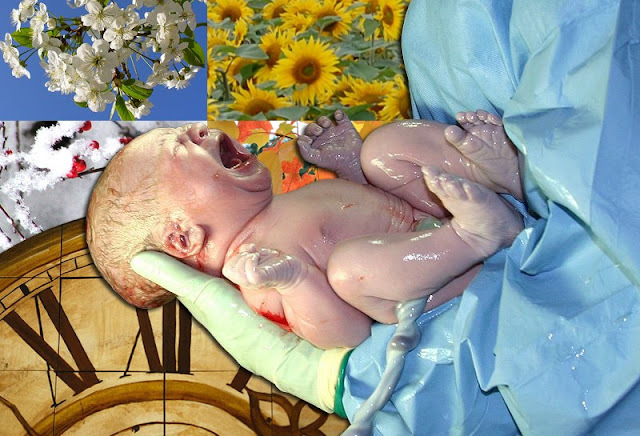 I watch you dying and feel that cord pulsating with life bringing me to birth from your womb. I see you breath your last and I sob like a newborn gasping at first breath as the umbilical cord is cut - again. 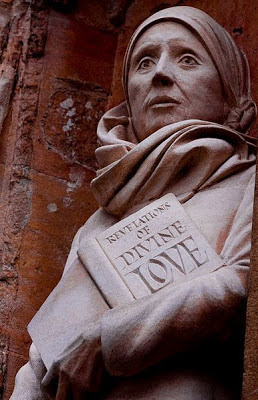 'Mother Julian' of Norwich is remembered today in the Anglican church. She was a 14th century Christian mystic who lived in Norwich. She was an inspirational woman in her own time, but her writings have only really become well-known since the 20th century. You can read about her life and work here. "All shall be well andall manner of things shall be well." Christ our true mother,you have carried us within you, laboured with usand brought us to bliss.Enclose us in your care,that in stumbling we may not fall,nor be overcome by evil,but know that all shall be well. Amen. Death of a mother. No - not any mother, but the one I knew as 'Mummy' until that word sounded too childish when I too became a mother. Then she was 'Mum' to me, 'granny' to my children, 'Auntie Margaret' to her nephews and nieces and 'great grandma' to my grandchildren. She died exactly 2 weeks ago today. She was in her 100th year and frail. Her death was not unexpected. As her dementia progressed over the last 5 years so the grieving for the person she was and the anticipated death to come has been part of my life for a long time. But I still can't fully realize she has left us. It doesn't feel right to speak of her in the past tense. My sister and I and our husbands were with her in the hospital when she died, so the rational part of me is in no doubt about her death, but the emotional side hasn't yet caught up. Not that I haven't cried - but there will be more tears to come. I know that.